Born and raised in Myrtle Beach, Steve is here to help you find your new home. The exceptional experience that he provides to his clients is a reflection of his past roles in customer service and continued commitment to his clients. Creating relationships with his clients and being their trusted adviser is what he excels at. 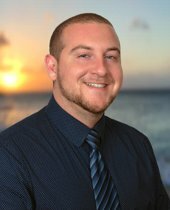 If your'e buying or selling a home, Steve makes sure that the transaction goes as smooth as possible by providing his clients with a great experience. Steve specializes in assisting home buyers and sellers in the Myrtle Beach and the Grand Strand area. Whether a client is relocating from New York to Murrells Inlet or selling their home in Conway, Steve is a local market expert, that is here to help you.